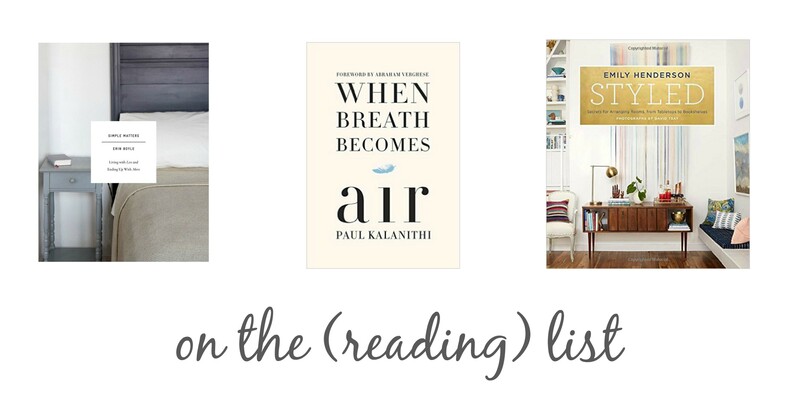 when it comes to the great loves of my life, reading was the first. when I was little, my parents used to despair about the fact that in social gatherings, I would more often than not be found in a corner, my nose buried in a book than mingling in the crowd. if we’re being completely honest, I’m often tempted to do like my 5-year-old self when I find myself in big social gatherings. I’m very much of the small, intimate get-togethers camp. going back to yesterday’s post, I think part of simplifying involves going back to the basics, which include taking up the things you used to love to do before life/work/being an adult got in the way, the things you did just for the simple joy of it. I do plenty of reading nowadays, but the required, academic kind. and while the nerd that I am enjoys that, too, I need to work on reading more books just because. I want to read about things that intrigue me on different levels, from the beautifully serious to the wonderfully frivolous & everything in between. the three books above are on my reading list. simple matters & when breath becomes air come out on tuesday, so I’m starting off with styled by emily henderson, whose blog is a daily read. I’m an avid reader of simple matters author erin boyle’s blog, as well. I’m in the process of editing & simplifying that list, as well, but those two will definitely make the cut, as will a cup of jo, whose author, joanna goddard, is paul kalanithi’s sister-in-law. that’s one of the coolest things about being part of the blogging community – being able to become aware of some of the really amazing things out there in this great big world. p.s. this essay by paul kalanithi before he died is one of the most beautiful pieces I’ve ever read.